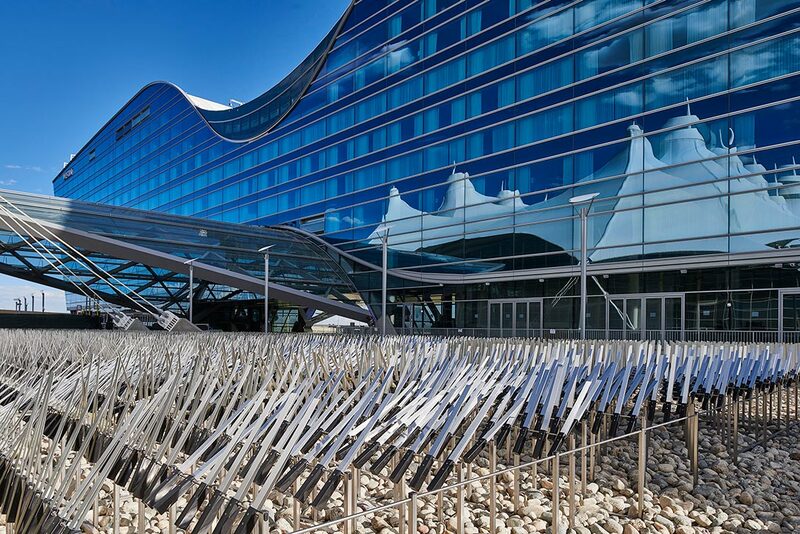 Installed on the new public plaza between the main terminal and the new hotel and convention center, the artwork consists of 18,500 counter-weighted aluminum elements that sway like tall grasses in the wind. People can walk through the middle of the field of moving “grasses” and also view it from inside the terminal and from hotel windows. 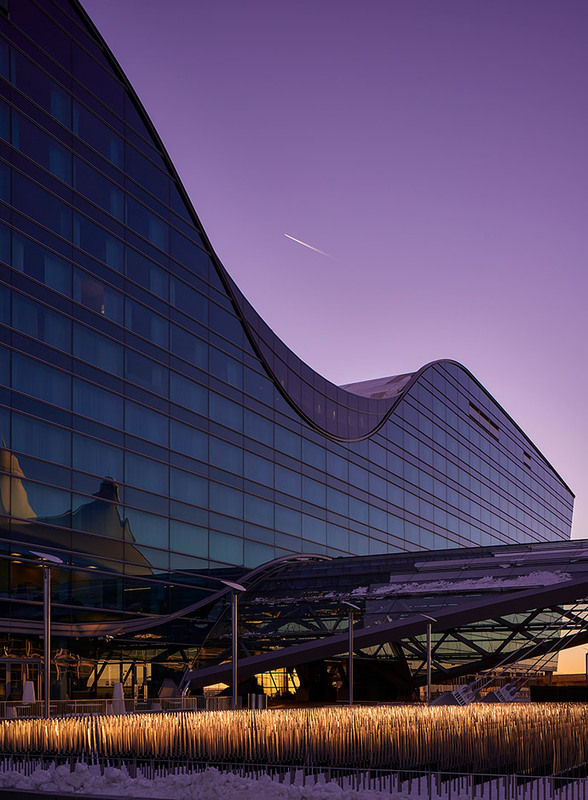 The project was realized in collaboration with the architectural firm Gensler and was completed in 2015. Photo by Ryan Gouty / Gensler.